Just Jeeps Rugged Ridge 6" All Terrain Fender Flare Kit For 1987-95 Jeep Wrangler YJ Models | Jeep Parts Store in Toronto, Canada. Get that aggressive off road look with the Rugged Ridge All Terrain Fender Flare! 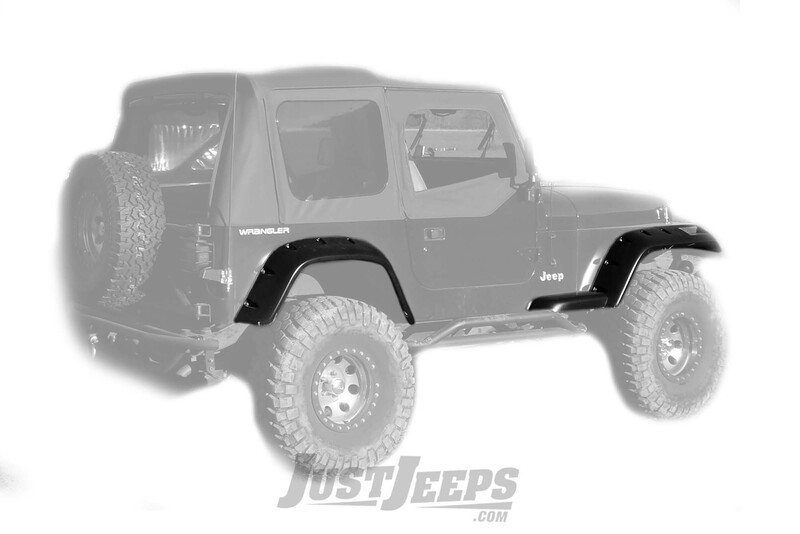 These 6” flares feature a stylish design while protecting your vehicles paint from flying rocks and mud. Constructed of durable UV treated ABS with a slight texture, these paintable flares provide a great look while being able to handle whatever nature throws at them. Each All Terrain Flare is designed to fit factory mounting points (requires some drilling) with durable rust proof stainless fasteners. Each front flare uses your existing side marker lights by easily attaching to custom light cut-outs. Backed by an industry leading 3 year limited warranty, these All Terrain Flares will really set you apart from the crowd!